I can't tell you the last time that I had Chinese carryout. It's been so long. I really like Chinese food, but I find it to be very heavy because it's made with so much oil and there's not a lot of vegan options out there. 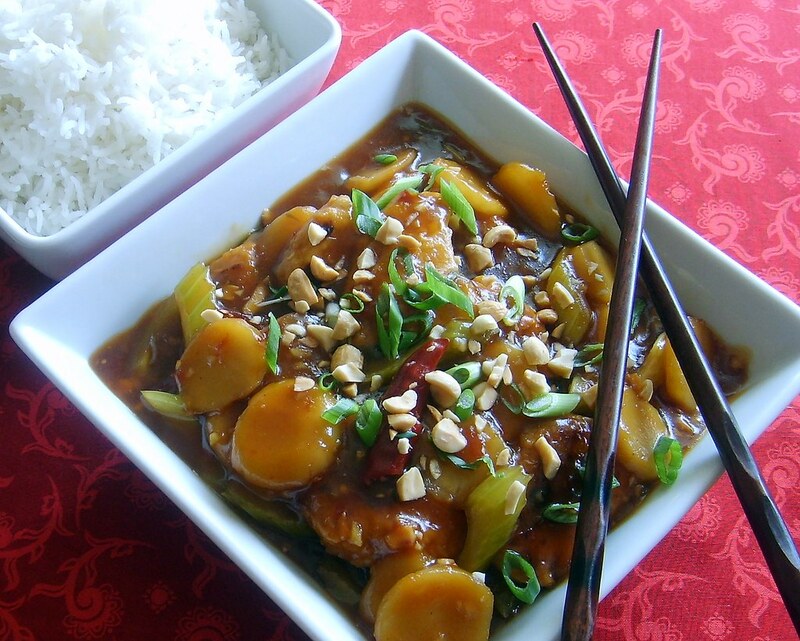 But by cutting back on the oil and using a new product from Gardein, or tofu, I love eating Chinese food once again! It's quick, easy and delicious! Gardein is a meat substitute product from Canada and it's made with vegetables and soy protein, hence the name (garden + protein), clever. In this recipe I used their Mandarin Orange Crispy Chick'n and I've got to tell you, it tastes better than chicken ever did. Plus, you get the benefit of zero cholesterol and saturated fat! You can purchase Gardein in Safeway or at Whole Foods, but if you can't find it, then just substitute extra firm tofu and it will be just as tasty. Whisk all ingredients in a bowl and set aside. If you're using extra firm tofu instead of the Gardein, then marinate the tofu until ready to use. In a non-stick saute pan or wok on medium heat, add canola oil and saute the chick'n until crispy and golden brown, about six minutes. Remove from pan and cut into 1-2" chunks and set aside. Wipe out the pan and spray with cooking oil and add minced garlic, ginger and dried chilies and cook for about 1 minute stirring to prevent burning. Immediately add the vegetable stock, celery, water chestnuts, 1/2 the scallions and 1/2 the peanuts and stir to combine and cook for about two minutes. Add the marinade you made, along with the Mandarin marinade from Gardein, the sauteed chick'n and heat through until thickened. If too thick add additional vegetable stock. Remove chilies before serving and garnish with extra peanuts and scallions. I served mine with white basmati rice. I like the fluffy texture and the nutty flavor. 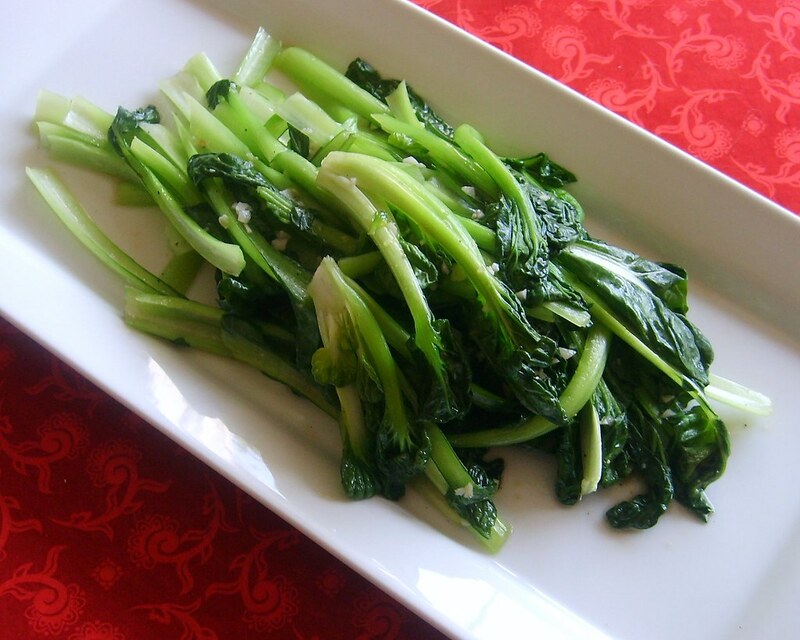 Tagu Choy is a cross between large bok choy and baby bok choy. I prefer it over the large because the stalks are thinner and less stringy. I just sauteed this with a little veg stock, minced garlic, salt and pepper and a couple splashes of organic soy sauce and it was delicious! Incredibly healthy too!